There are two style of Tool Bar. 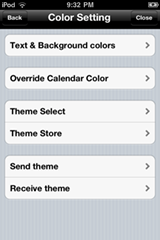 Can be select with setting. 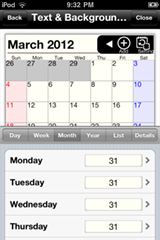 'SaiSuke Calendar' is native Calendar that stored in iPhone. Touch Login Test button to check if ID and Password are correct. To use new Google API, set 'Use New API' on and setup your Google ID and password again. 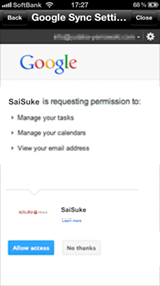 Then permit SaiSuke to access Google. The implementation for New API is relatively unmatured. If you prefer stable operation, please stay with current API. 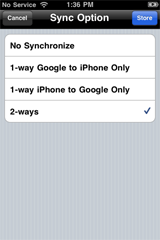 When you change the synchronization period, all of the sync 'd time will be reset. 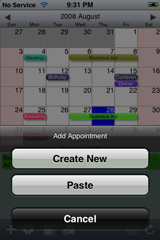 The first synchronization will check all of the appointments in the period, which may take up to few minutes. 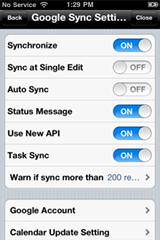 Sync frequency can be selected as needed. 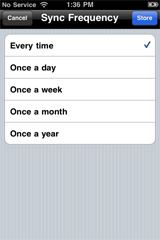 Each time when Backup is executed, new dedicate calendar will be created in Google Calendar. 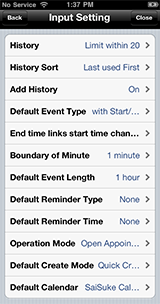 Background Setting for Multitask. 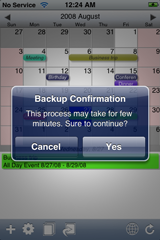 Select the term to remain the last screen status or reset the screen after application closed. 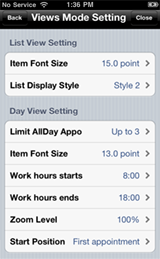 Max number of All day appointment to show on Day View. 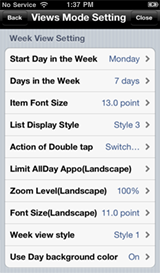 Max number of All day appointment to show on Week View. Max number of History Words to hold. 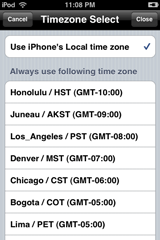 Select the timezone in SaiSuke. 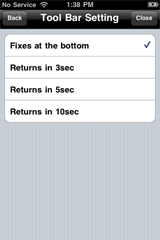 If you select "Fixes at the bottom", toolbar will be appeared at the bottom and fixed. 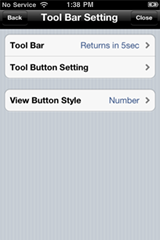 Tool bar will be appeared at the top if you select others. Edit Tool Bar buttons order. Buttons in 'Always appear' group remain in screen all the time. Buttons in 'Appear as needed' group be available when you tap button. Setting for Calendar Color in SaiSuke. 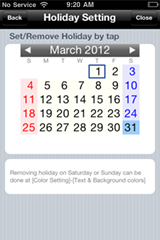 The selected color will override the original calendar color. 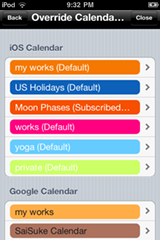 This setting will not affect the color settings in Google Calendars or iOS Calendars. 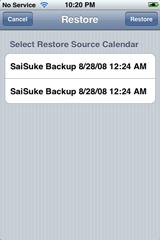 Frequency of Automatic Local Backup. 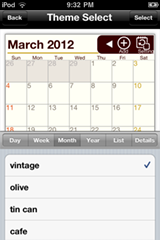 Input keyword and touch Search key then search result will be appeared. 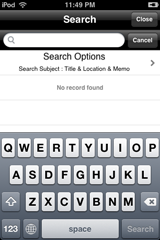 The search subject can be selectable in the Option page. 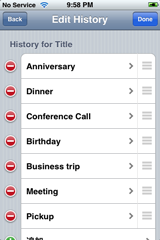 Select Title, Location, Memo and Period for searching. 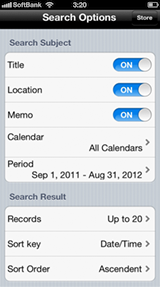 Also you can select calendar for searching. 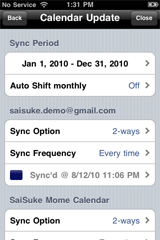 Copyright (C) 2008-2012 Mobile Saysoft, Inc. All rights reserved.